First time I've noticed this tonight upon using the rift tonight. Seems like the glue is peeling off from behind the foam and exposing the audio ribbon. 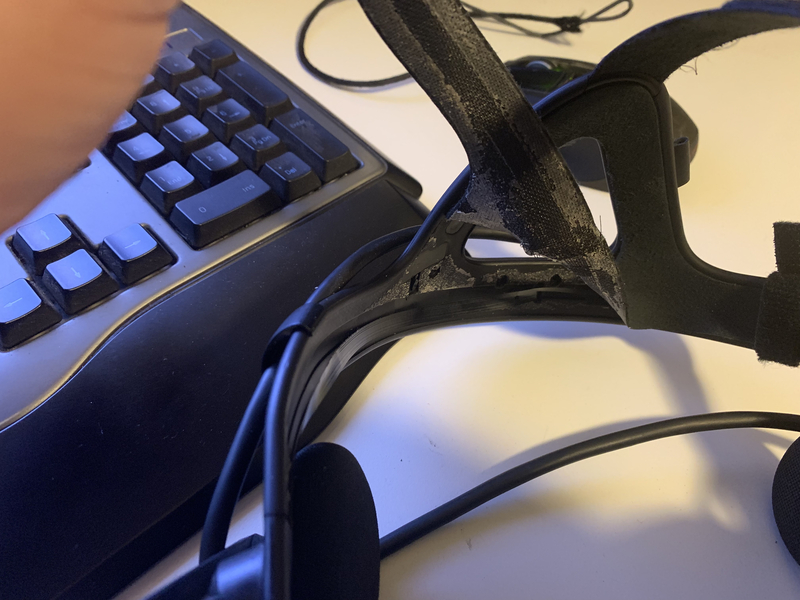 I don't want to be using my rift to find that this will damage it further. Contact support with photos mate and see what they recommend. I've heard of sweat causing the breakdown of the glue before but not sure what the remedy would be.